Typically when you have stopped playing golf for a few months. It’s very likely that your hand/eye coordination will not be as accurate as before. Also, you might find that your aim and alignment is way off target too. However, when you start practising and playing again, your aim, alignment, & coordination will sharpen up within a few weeks. If this case, I would suggest working accurately on your pre-shot routine. In doing so, you will gradually re-establish an accurate aim, alignment and etc. Perhaps, the following practice method might be of benefit to you. Make a series of body connection and coordination exercises (hip-turn and full body turn exercises, pause and hold for 3-second backswing drill), these exercises improve your skill of turning constantly through the shot. If you have not played golf at all in the last few months, I may also suggest making five vertical leap exercises (this depends on age and your mobility) – this is a great exercise to get the heart pumping and this exercise may also increase your body speed as you turn through the shot. 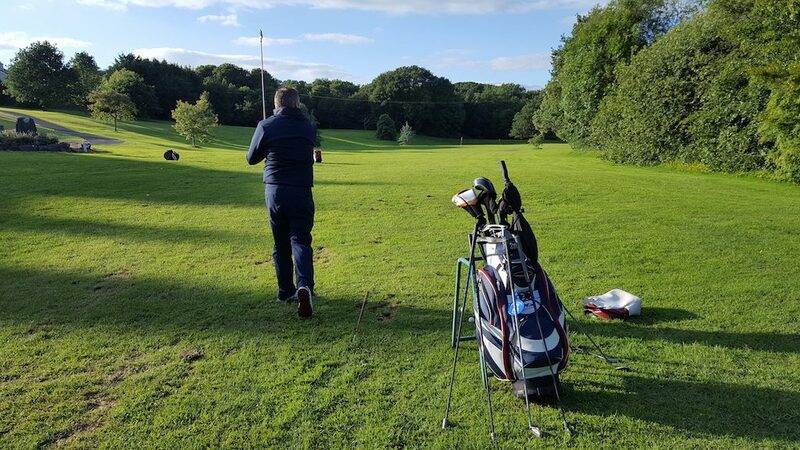 Select a club and a shot to play (I would start you off with a PW, then a 4 iron back to a PW, then on to a 6 iron and continuously mix up the clubs after every couple of shots) – a range of different shots will improve your hand/eye coordination. Make two meaningful practice swings (a meaningful practice swing; is the best possible swing you can make). Take dead aim, set up and hit that shot using that feel good practice swing. Please feel free to post any comments publicly or a private message is great too. I hope you can get out to practice and try this method out really soon.